This is part 2 of my own perspective of what it is like to photograph weddings at San Francisco city hall. 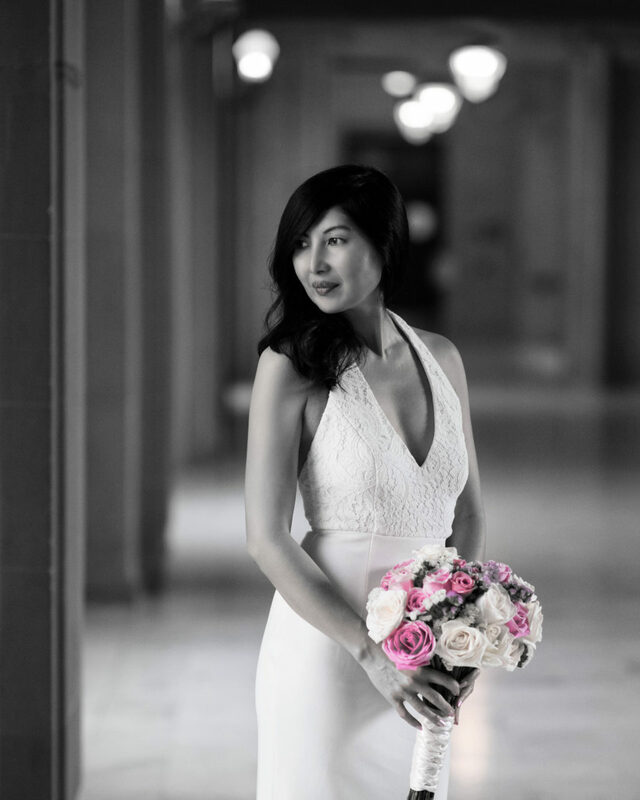 In the first part of this post, I talked about the lifestyle changes and advantages of being a San Francisco city hall wedding photographer. Now let’s explore the actual benefits in terms of the daily routine. This certainly is the part we like best! 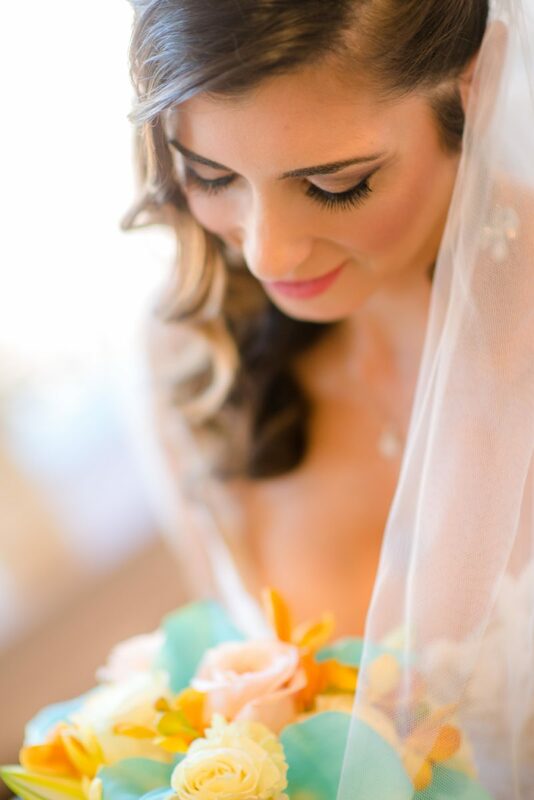 A typical wedding on a weekend can last about 9 hours from Bridal prep until the last dance. So one would think that there are all kinds of opportunities to capture wonderful pictures of the bride and groom Well, when compared to city hall weddings, this could not be further from the truth. When engaged couples book us for San Francisco city hall, they choose a level of coverage. Even our lowest package in terms of price and coverage time gives us more time with the bride and groom then we would get at a big wedding. It is not uncommon for us to be able to spend 45 minutes with the happy newlyweds after their city hall ceremony. We would LOVE to have this amount of time with our couple at a full weekend wedding. Ask any full scale San Francisco wedding photographer and they will tell you the same thing. We are lucky to have 20 minutes with the bride and groom for photos. This 20 minutes is usually sandwiched between the family pictures and dinner service at the reception. It is frequently very rushed and stressful to all involved. A typical full wedding day is loaded with events and yes, they all need to be covered by the wedding photographer. But what I really love about city hall weddings is the amount of time devoted to JUST taking pictures of the bride and groom alone. 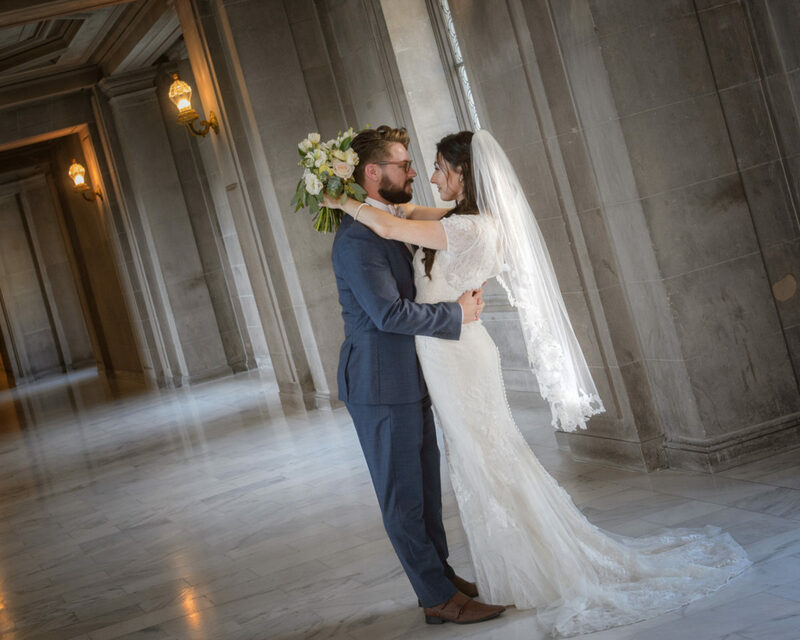 If a San Francisco city hall couple books us to photograph their wedding, they are doing it because they really want great photos. You might be asking, doesn’t every couple? The answer to this is, sometimes. Many couples who book us for a big wedding do it because they are either forced to by relatives or feel that it is important to record the event for the future. It is more about documenting all that happened during the day instead of capturing artistic photos of the bride and groom. A couple that books a city hall wedding photographer pretty much knows that are not going to be that many events to document throughout the day. There is no cake cutting and no first dance. There is no bouquet toss and know speeches. The coverage they book us for includes ceremony coverage (5 minutes tops) and then photos around the building. So we know that our City Hall couples want great wedding pictures and we are more than happy to oblige. I honestly love giving my clients bargains. I really feel that San Francisco city hall wedding photography is a great deal compared to large wedding coverage. It makes us feel good as photographers to provide our clients with so much more coverage time for their money. So this benefits both the client and us. We have for a long time explained this to our clients and we want them to understand it and take advantage of it. 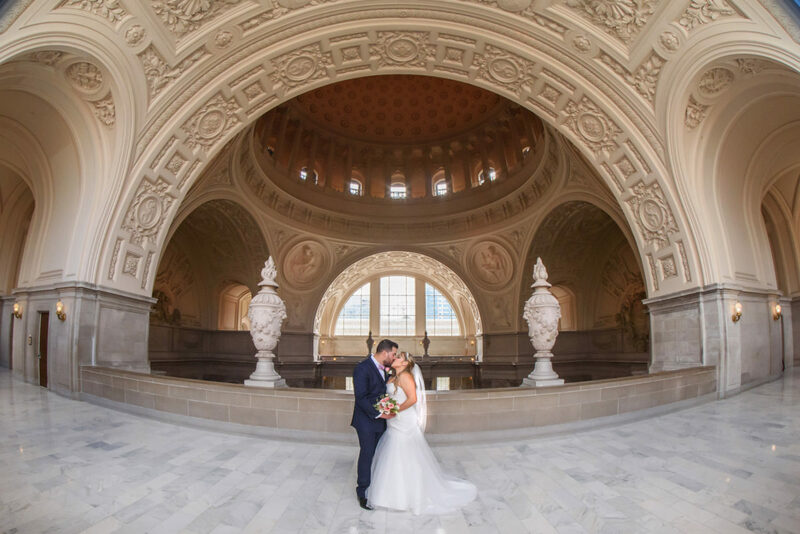 Our clients have the opportunity to book some of the best San Francisco city hall wedding photographers for under $1,000. Everybody wins! What are some of the best ways to approach City Hall wedding photography? Challenging Lighting. One of the trickiest things about taking pictures at San Francisco city hall is the lighting. Depending upon where you are in the building the lighting can either be amazing or extremely tough to deal with. For example, the Mayor’s Balcony is difficult because just about any angle shooting away from the balcony towards the rotunda involves heavy back lighting. The Mayor’s Balcony is not only fairly dark, but everything around it is bathed in natural light. 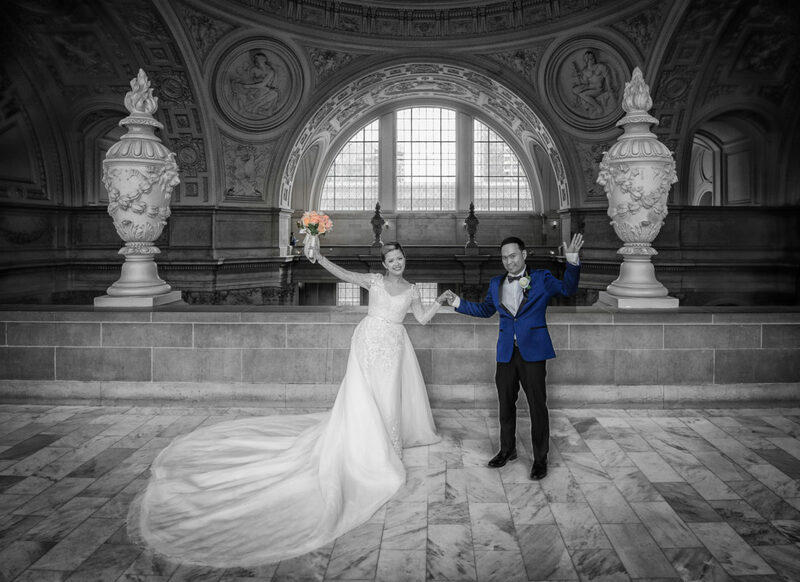 We often see amateur wedding photographers attempting to shoot their subjects by the railing with out any lighting and ultimately they will mostly just get silhouette images or blown out backgrounds. Another challenging place to shoot is in the Rotunda area where the city hall ceremonies occur. The predominate light in this area is from overhead. So if you shoot in almost any direction your subjects will have “raccoon eyes”. If you are taking pictures in the Rotunda, position yourself with your back to the Mayor’s Balcony and you will get some nice light. If you have flash, use it! Crowd Control. We jokingly refer to this as crowd control but there is some truth to this city hall wedding photography challenge. The fact is that San Francisco city hall is a public building. Every single person in the building has the same right to be there as you. Yes, even if you are getting married! The best way to handle this simply is to go where people aren’t. It sounds simple, but virtually every non-professional wedding photographer we see ignores this advice. They spend the whole photography session on the Grand Staircase as though this was the only place in all of city hall for wedding photography. The fact is, there are 4 floors that ALL have great backgrounds and architecture to explore. 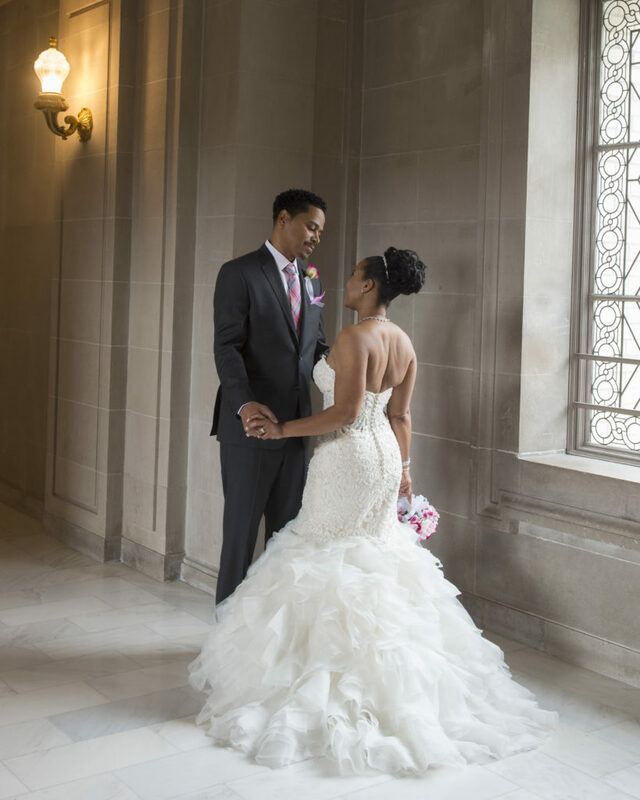 As you take your couple around the building, keep your eye on the Staircase so when it clears off, you can run down and get some pictures. Meanwhile, you might find that there are some very nice other locations to photograph. Leave the Family Behind. We often see amateur city hall wedding photographers taking their whole wedding party around the building with them when shooting the bride and groom. This is not a good idea for several reasons. Most importantly, it will make your couple inhibited as they pose for their city hall wedding pictures with an audience. Inevitably, some of the relatives with shout out suggestions and make comments. This is distracting to the photographer and the subject. The other issue is that the family and friends will get in the way of your backgrounds. You will spend more time trying to move the group then actually posing the couple. Ask the Wedding Party to either wait in the Mint Cafe or just in a neutral area somewhere. It will make your city hall wedding photography session go much smoother. Timing is Everything. I understand that not everyone can control the timing of their San Francisco city hall wedding photography session. There are many factors that get in the way, most importantly the time of the wedding ceremony. Also many couples are restricted because of work schedules and can not choose the best days of the week. However, if some of these things ARE in your control, then by all means choose the best times of the day and best days of the week. Avoid Fridays if possible because of extreme city hall crowds. Tuesdays and Wednesdays seem to be the best days of the week for less people. If you have control of your booking time, then try for early times or late. There will be less people and especially tourists at those times. This is one advantage that most brides and grooms don’t think about. Yes, we know how to help you with the whole city hall wedding process. From procuring your wedding license to checking in at the County Clerks’s office and then finally the ceremony. Is this kind of assistance really necessary? Probably not, but if you want to truly enjoy your wedding day, it makes sense to let someone else handle the complicated process of having your civil ceremony at city hall. We find that most of our couples really are at a loss of where to go and what to do on the day of their ceremony. When do you bring in the witness? Why are we checking in? Where do we get married? These are common questions we are asked when we first meet our engaged couples on the day of their wedding. To make the day go smoothly, we simply guide the couple through each step and stay with them the whole time. Our couples love this and it makes their special day care free. While it is true that your friend or relative who is “really good with a camera” may be able to take high quality images that are in focus, chances are they will not know how to pose the couple. This is where most amateur wedding photographers fall down on the job. Not coming up with fun and unique poses and more importantly, not knowing how to make the bride look her best. Brides come in all kinds of shapes and sizes and each one of them deserves a professional wedding photographer who knows how to accentuate the good parts and hide the less than perfect aspects of the bride’s look. This is not something that just anyone can do without any training or experience. A professional wedding photography can take one look at the couple and know exactly how to handle the posing. Your wedding day is too important of an event to leave to chance. What happens when your San Francisco City Hall wedding is over? If you hired a professional wedding photographer, you will receive edited images within a month or less in most cases. We deliver ours to our married couples in 3 weeks. If you have your Uncle Bob photograph your wedding, when will you receive the photos? When will he get to it? With they even be professionally edited? There are many reading this article right now thinking, big deal, we can do all of this ourselves. The truth of the matter is that statistics show that most wedding couples do absolutely nothing with their wedding digital files. Sure, they may post a few on Social Media and maybe even make a print on their home Inkjet printer. But is this really how that should be handled? We offer our couples retouched professionally processed prints and beautiful wedding albums as options. Many of our clients take advantage of this. Even those that do not are assured of receiving a finished product after their wedding. Fully edited and perfectly exposed wedding pictures! I am going going to go out on a limb here and guess that you have rarely read one wedding photographer recommending another unless they were personally booked for your wedding date. That is about to change…. City Hall Wedding Photography by Michael has been shooting weddings for many years and we have discovered that it is more important to make sure the couple finds the right photographer for them rather than trying to gobble up all of the business we can. If after talking to the bride and groom and assessing the type of photographic styles they prefer it turns out we are not a match, we will tell them. I would say something like: “I am not sure we are the best city hall wedding photographer for you.” Why do we do this? We have plenty of business and would rather see the engaged couple work with an appropriately styled photographer for them. One that matches their preference and vision for their wedding. So the obvious question becomes: “Arn’t you versatile enough to adjust your style or demeanor to match your client?” The answer to this question is, yes we are are. However, if we sense that we are way off and have to completely change the way we approach your city hall wedding, then it is not fair to the bride and groom to mislead them. More importantly, there are quite few professional city hall wedding photographers out there that who probably will fit what you are looking for. After 10 years of city hall wedding photography we have met many of the top photographers and have come to respect and enjoy them. I wouldn’t hesitate to recommend them and often do. We also receive numerous referrals from them as well. In conclusion I would just tell you that the most important thing is that you hire a professional wedding photographer. You have heard us say this before, but San Francisco City Hall, despite all it’s beauty, remains a challenging photographic venue. Even for professionals it remains a lighting challenge. Crowd control can also be difficult. Obviously, we would love it if you tried us first. 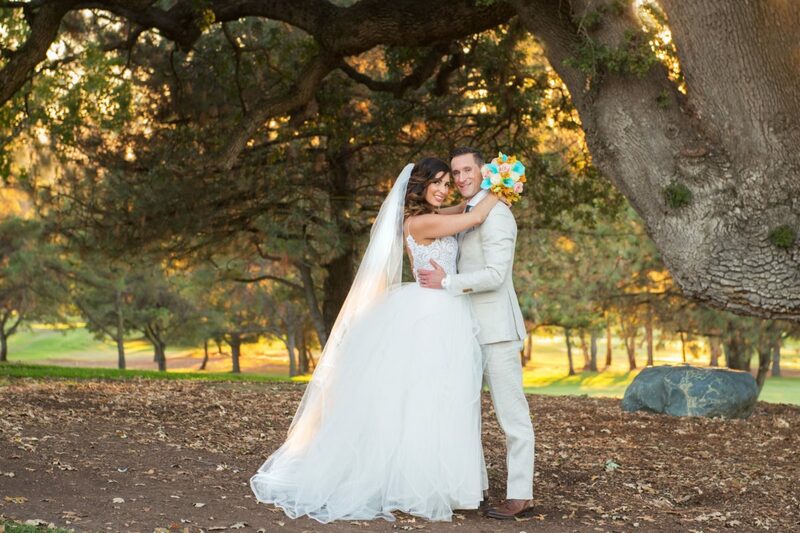 If we don’t think we are a match, we will tell you so and suggest a city hall wedding photographer who is! This blog post is a little bit marketing oriented, but I decided to post it based upon considerable feedback I have received recently. Quite a number of our city hall wedding photography clients have acted surprised that we also photograph large full scale weddings. In fact, we were recently told that we missed out on a potential wedding because one of our city hall clients had no idea that we had experience with large formal weddings. The fact is we have been photographing San Francisco and Bay Area weddings for over 20 years. Our experience with City Hall photography has certainly helped us with our knowledge of some of the best places to take our bride and grooms. Our San Francisco wedding experience has taken us all over the city and to many of the churches and venues available. Some of our favorite places for ceremonies include Saint Ignatius Church and the beautiful North Beach Church, Saints Peters and Paul. We have photographed multiple weddings at these amazing and historic San Francisco Catholic churches. Other Favorite venues of ours include The Bently Reserve and the Italian Athletic Club a North Beach favorite! Once the wedding is completed there are so many great places to take our couples for some of the best wedding photography locations in Northern California. As our regular readers know, we love to take out clients to The Legion of Honor, The Palace of Fine Arts, Russian Hill, Baker Beach and so many other fantastic San Francisco destinations! Yes, I know you are probably thinking that you have seen this type of article over and over again. It is usually written by frustrated professional wedding photographers who are begging you to understand why it is so important to hire a pro. The author will usually go on and on about the quality of work, the superior equipment and sharper and clearer pictures. They will also spend considerable time discussing the pitfalls of having a friend do your wedding photography because they are likely to mess things up and/or take blurry images. When I sat down to write this article for my blog, I decided I wanted to approach it differently. Rather than stating the obvious, I wanted to provide my audience with some unique issues that they probably didn’t realize. This blog post is also specifically about City Hall wedding photography since that is what this blog is all about! What are some of the nightmare issues I have heard about from clients about their friends shooting weddings for others? Corruption of data, bad Flash Cards, hard drive crashes and insufficient backup systems are among the problems we hear the most about. Professional City Hall wedding photographers including myself have a pretty complicated back up system. Most of our pro cameras write each image photographed to 2 cards simultaneously. This helps to lower the odds greatly that a Card Failure or corruption will wipe out your wedding memories. Many of the so called “Prosumer” cameras do not have this feature. Every photo I take is written to 2 cards with one being a backup for the other. I hold on to one of the cards without deleting it until my clients have their images in their own possession. This eliminates the possibility of loss or other failures. 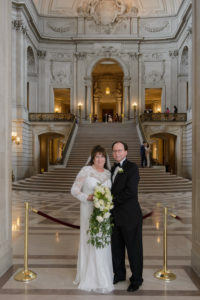 If you have Uncle Bob do your San Francisco city hall wedding photography, chances are he will take your photos and then put them on a hard drive at his home. Or he may just give you the cards. Does this sound like a safe way to handle your precious memories? Certainly not! What if you lose the cards that he gives you? What if his Hard Drive crashes or he has a house fire? Does he have off-premises back up? I am sure he does not. When I shoot a city hall wedding, my cards go directly on my Computer hard drive. Within seconds, they are also copied to my external hard drive. They are simultaneously backed up to an off-premises location and then eventually uploaded to your secure site for viewing. As I previously mentioned, I also keep one of the cards until the client receives their images. So when you hire me as your wedding photographer, your images are basically backed up in 5 differently places temporarily and 3 places permanently. Your wedding is a precious memory, it is not worth the risk of losing everything. Yes, this is a beautiful wedding venue and a great place for wedding photography, but is it easy to take pictures here? Not really. The huge windows and uneven lighting can give you fits. There are some places that are impossible to shoot without a flash because of the strong backlighting. We often wonder how some of the people we see shooting weddings without any professional lighting can get anything resembling a good result. There are certain places in City Hall that are very dark. Other places have unattractive overhead lighting. This type of natural lighting will give all of your subjects “Raccoon Eyes”. While it is true that there some some incredible locations at the city hall venue with amazing natural light, it’s not always easy to capture it. It takes practice and experience to master the interior photos taken at city hall. One of the unknown things about San Francisco city hall is that they schedule large events throughout the week during the same time that weddings are occurring. This is often surprising to many people and they don’t know how to handle it. When events are scheduled, City Hall frequently ropes off the Grand Staircase making it impossible to take photos in the area. Since this is probably where about 75% of all photography takes place within city hall, this can be a problem. The advantage of hiring a professional city hall photographer is that they will know other places to take you that are also beautiful and historic. Some of these other areas may not be obvious to your amateur “friend” wedding photographer. I know the first time I did a wedding at city hall, I had no idea about some of these other areas. This one of the huge advantages to hiring a pro. Not only do they know where to take you to avoid the crowds, but they also know about the “secret” locations around the building. City Hall Staircase roped off and closed. The above image shows what it looks like when the Grand Staircase is closed and you cannot go in. We will post Part 2 of this article tomorrow. Stay tuned!